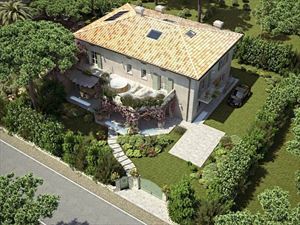 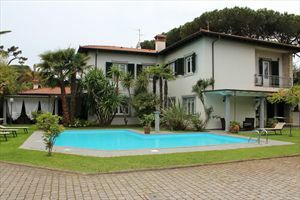 A new splendid villa of 300 m² with fine finishes and furniture, located in Ronchi at 6 km from the center of Forte dei Marmi, about 300 meters from the sea. 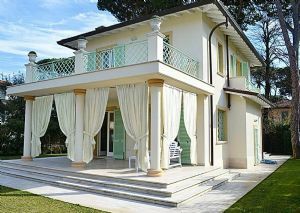 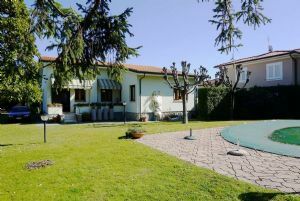 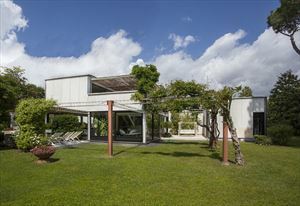 The house is surrounded by a large garden with heated swimming pool with equipped sitting area. 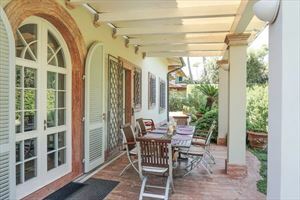 The house has a spacious and bright living room, professional kitchen, 4 double bedrooms, 4 bathrooms and a furnished outdoor terrace. 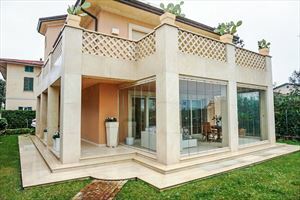 The villa is provided with home automation system, air conditioning, parking, alarm system, barbecue area, automatic, satellite TV, W-Fi.